A cook is employed at the nursery to prepare healthy meals for the children and staff. A weekly menu is provided appropriate to age groups, consisting of healthy nutritious dishes; vegetarian meals and special diets can also be provided. The menu is rotated at 4 weekly intervals. Our children’s menus keep winning the Nutrition and Oral Health Award each year. Our onsite kitchen is rated 5* by Food Standards Agency. 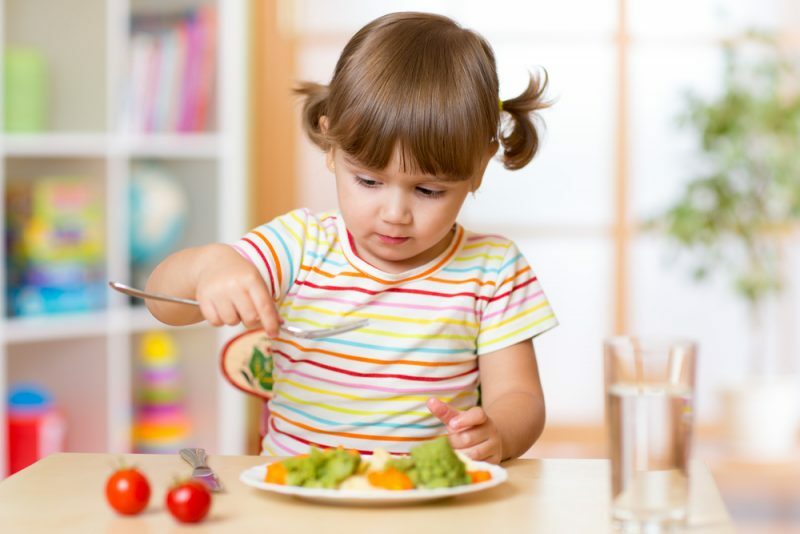 All our meals are freshly prepared by an experienced nursery chef providing a well-balanced diet. For breakfast between 7.30am and 8.30am, we offer cereals, raisins and yoghurts. We serve a variety of fruit during mid-morning snack between 10am and 11am. A two-course dinner is served between 12pm and 1 pm, followed by a two-course tea between 3.00pm – 4.00pm. Each meal is served with a drink of milk, diluted fruit juice and water. Throughout the day children have access to water and in Preschool classroom they pour it themselves using real glassware. Our children are encouraged to serve the meals themselves and clean the tables after they finished eating, in line with Montessori principles. They do a variety of baking and food preparation activities that promotes further interest in cooking and gives them confidence in trying different foods.